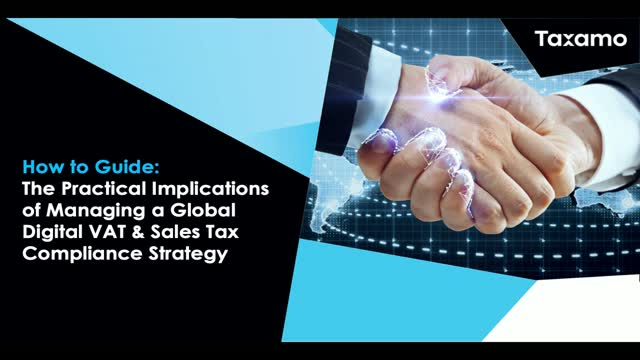 Taxamo’s regular webinar content is curated for Finance and Tax professionals to help them navigate the complex world of Global Tax Compliance for digital service sales. We will cover a wide range of topics around topics covering the practical application of global tax compliance; including real-time customer location determination for tax calculation, business to business sales validation, compliant invoicing and foreign exchange rate application. We will also provide regular updates on global tax and compliance changes globally. As more businesses sell globally, they need to pay more tax to more tax authorities, on the basis of where their customers are located. This legal reality creates complex challenges for tax management when regional and local regulations, as well as additional compliance obligations, are taken into account.